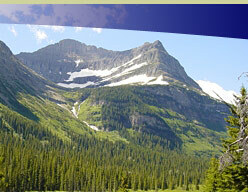 The Montana Association of Geographic Information Professionals (MAGIP) is pleased to present the 2006 Intermountain GIS Conference, April 3-7 at the Great Northern Hotel in Helena, Montana. The theme of the conference, Realizing Our Collective Potential, recognizes that GIS is rapidly changing from isolated users and pockets of technologies to more integrated collections of users and technical solutions. The conference will focus on the increasing potential for geographic information to be created and shared by multiple users and connected system. The Call for Posters and Electronic Presentations remains OPEN. Please submit your poster and/or electronic presentation abstracts as soon as possible. The Call for Papers for the Conference is now closed. Thanks to everyone who submitted an abstract. We will be reviewing them in the near future and selecting those who will present at the conference.